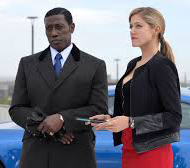 This week’s premier of the new series The Player has given us that rare animal, the original TV show premise… which alone was enough to get my interest and, fresh after my high of watching the premier of Heroes Reborn, insured that I was going to give the new show a watch. But although I liked the show, I have to admit that this series has got to have about the lowest opinion of humanity you can get without heading straight for the suicide booths. This being gambling: Specifically, gambling on crimes. Crimes that get people killed. We’re talking about a super-secret organization of multi-billionaires who are so bored that they’ve arranged for the creation of a super-sophisticated intelligence system (the only admittedly vague sci-fi connection this series has) that can accurately predict when heinous crimes are going to happen, and their probable outcome. Then, to sweeten the pot (and the TV’s plot), they pay some typically ex-military intelligent badass to go in and foil the crime—and survive the attempt—and they bet on his odds of succeeding. So Alex Kane is the player, getting his assignments from Cassandra, the game’s “dealer,” who works for Mr. Johnson, the mysterious “pit boss.” He takes on his first assignment after his wife is killed, and he thinks he can catch and kill her killer. But there’s something fishy about the murder; was it arranged, just to get Alex to cooperate? And Alex, who has apparently had some good and bad moments in his past, and has reason to question his own motives, is quietly upset about an organization of people who can help humanity—most importantly, who have the resources to actually predict crimes and take action to prevent them—and instead, sits back and places bets on the possibility of their player, who is given limited access to information, can save a life and preserve his own. And although the dealer is encouraging, trying to convince him she is all for his efforts to “do good” with what resources he has… you know that, like any dealer, she is paid to encourage people to think they have a chance against the house. 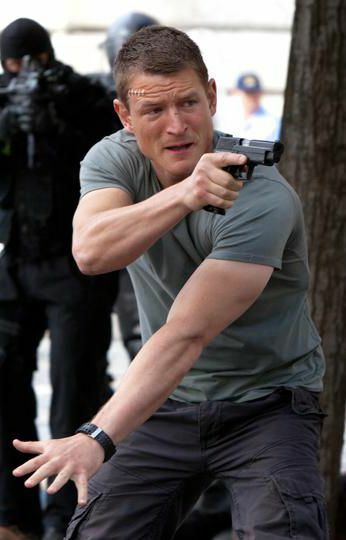 Philip Winchester, star of The Player. Perhaps not since The Prisoner has a television show had a more loathsome opinion about essential human nature than this. These aren’t evil aliens, vampires, or a corrupt politician or industrialist; these are rich bastards gambling multiple millions against human lives, just to alleviate their 1-percentile boredom. I mean, that’s damned low, people. Sure, the show is exciting in the usual TV action show way. But trying to get past that premise may be… challenging. I may find myself giving considerable thought to whether I can watch a show which has such a crappy attitude about people. And I’d bet a lot of people will tune in hoping to see Alex figure all this out and kill some of the people behind it. But he never will. As the show’s opening shot perfectly illustrates: You can’t beat the house. Previous Previous post: We’ll get to Mars—just maybe not soon. Never heard of these shows. The only “corrupt cops” type show I really did enjoy was The Shield, and not in the beginning. I don’t think I would enjoy a show that completely dismisses lives for so-called fun. The Player is new (on NBC, America). If you’ve never seen or heard of The Prisoner, you should check it out (the original production starring Patrick McGoohan, not the recent remake).